As we reach about two-and-a-half months on the trip, many are beginning to feel the call to head home; as easy-going as I am, I have found that even I have begun to sense faint inner aches for western comforts (which, in itself, contradicts my intentionality). This is not to say that I thought I was immune to being western, but rather that I don’t think of myself as being one who submits to western comforts. 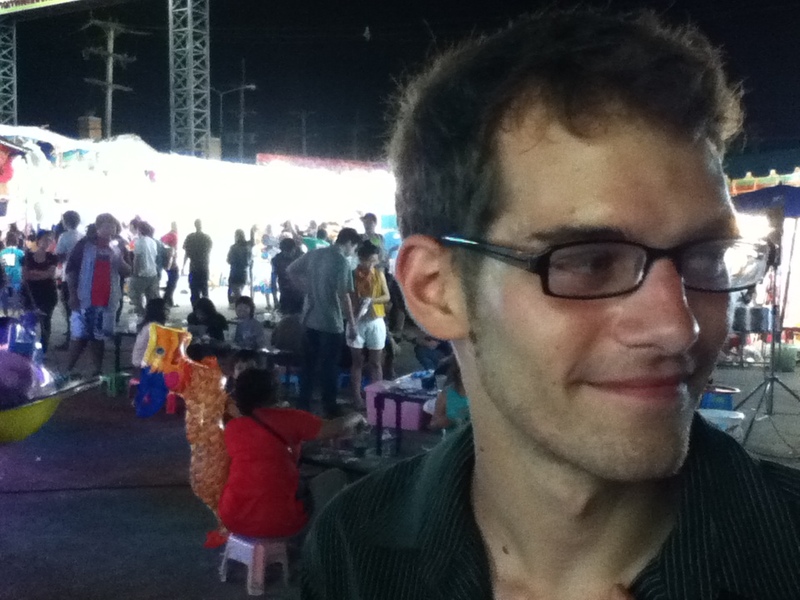 SSU student Steven Barker enjoying a popular local food festival in Chiang Mai, Thailand. It’s not the food that I miss; in fact, I like the food in Thailand more than anywhere else that I’ve been in the world. Anyone who knows me knows that I could easily eat rice every day for the rest of my life. Rather, once in a while I miss the comforts of my parents’ home, and the assuredness that I can be myself, relatively wholly, with no signifiant voice telling me that I should be, act, or do otherwise. But I digress. What I have really been pondering lately are the little things that separate me culturally from Thais, particularly relating to personal comfort. My parents’ home has walls. It has an indoor kitchen, an indoor bathroom, and indoor living rooms. It is virtually weather-proof, in that the season outside is rarely wholly reflected by the indoor environment of the house. While home-life in Chiang Mai more often than not contrasts this quite dramatically, the real difference is impossible to ignore in some of the still-functioning hilltribes. 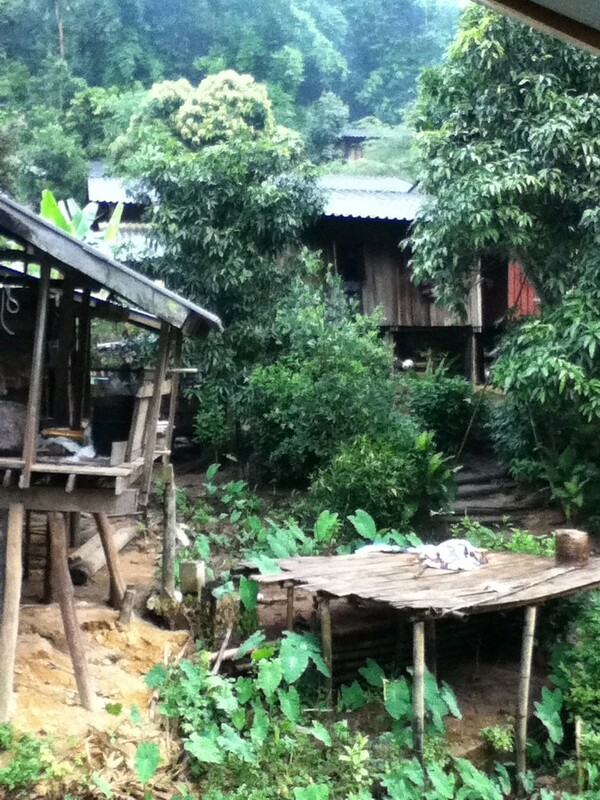 The Karen hilltribe in Chiang Rai province where our group stayed for two nights. 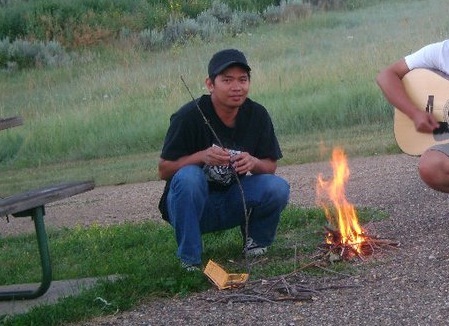 The friend in question and I would often attempt to beat North Dakota fire laws by having small fires in a coffee can outside the motel. I believe that is the moment where I realized that comfort is not a universal concept. We may find our convenient ways to be the most comfortable, but everyone will always find the deepest level of comfort in the pleasant familiar ways of their upbringing: from their mother hand-washing their clothes, to showering with cold water pumped straight from a well, to their care-givers’ cooking. Our ways – however practical, however efficient, however systematic – are not necessarily ‘right’. I believe that in recognizing this, we can begin to understand the world around us in a new, beautifully human way.